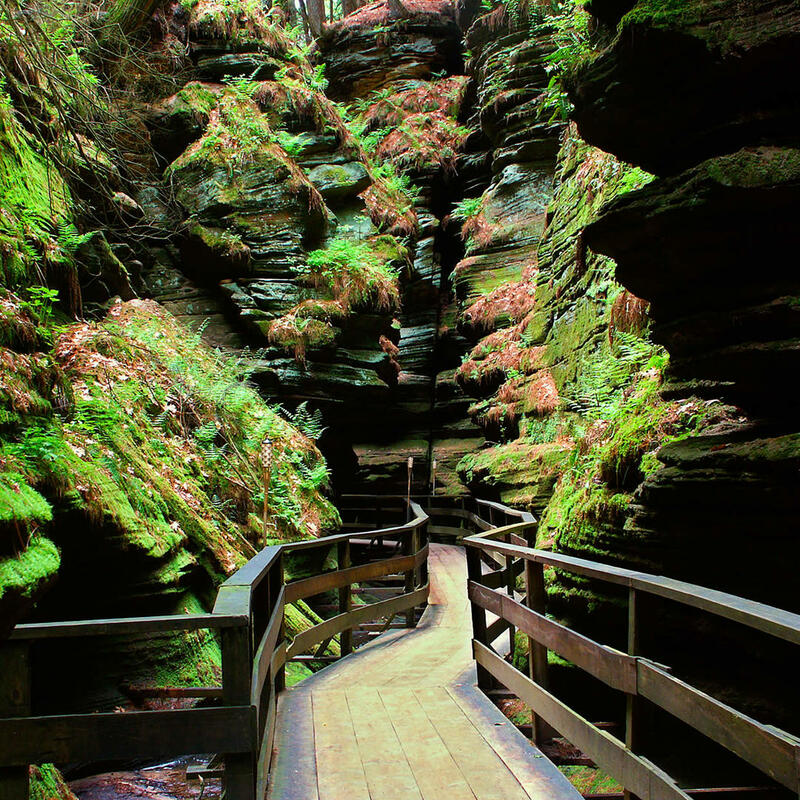 A deep and tapered canyon located within the borders of the Wisconsin River State Natural Area, the Witch's Gulch can only be reached using the Upper Dell Boat Tour. While the boat tour is a treat in itself you will disembark to explore the slot canyon which is a two-mile loop through a forest. The boardwalk takes you in and around the gulch even through the narrowest parts. The sandstone was formed millions of years ago but this gulch is the result of glaciers moving through the land during the last Ice Age.